David Robertson, President and Chief Executive Officer of Robertson & Company Ltd. will speak in Toronto at the HRPA 2017 Annual Conference on Friday, the 3rd of February, 2017. Mr. Robertson is scheduled to address the conference at 1:00 p.m. ET in room 716a. We were thrilled to have HRPA ask our founder, David Robertson, to speak at their annual conference. 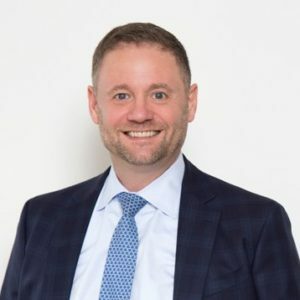 Dave is a trusted and highly esteemed leader in the Recruitment industry and serves on several Government of Canada and industry-related advisory boards. The title of Dave’s presentation is Talent Acquisition Trends. Dave and co-presenter Karen E. Finnemore of Morton Grey Inc. will share critical information on trends in the recruitment industry. More and more HR and other workforce management professionals are recognizing the importance of so-called “talent ecosystems.” In a talent ecosystem, workers can move between roles, places, and categories as they desire or according to an employer’s needs. This means that companies need to maintain a holistic view of the talent ecosystem and in what manner workers can best be employed in order to meet the organization’s needs. This is not a static prescription, but an ongoing series of choices that will change according to a company’s needs and the availability of talent.